Jersey's Elizabeth Cann is not sure if she will return to the English National Championships, after being knocked out in this year's quarter-finals. 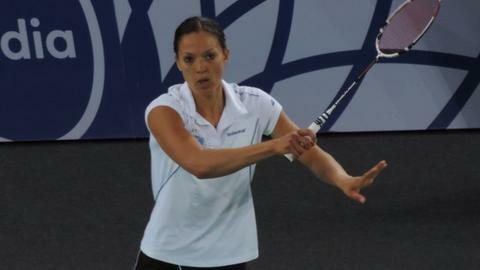 Cann, 35, retired with a calf injury midway through her last eight clash with third seed Chloe Birch. The 2010 Commonwealth Games bronze medallist won the English title in 2005, 2007, 2008 and 2010. "I won't make any particular decisions, we'll wait and see," Cann told BBC Radio Jersey after the loss. Cann lost in the last 16 at the Commonwealth Games last summer, having won bronze four years earlier. In 2006 she finished fourth, losing to Scotland's Susan Hughes in the bronze-medal play-off.